Replacement windows can reduce drafts, eliminate damaging UV rays, and improve home security. Your windows are one of the most noticeable features of your home. What are they saying about your property? If they’re old, damaged, or simply outdated, they probably aren’t saying what you want them to say. Increase your property’s curb appeal and value with Roswell replacement windows from Tight Line Exteriors to get the impressive style and energy-efficiency that your home deserves! Roswell garden windows add exceptional functionality and beauty to your home when installed by the professionals at Tight Line Exteriors. They provide a unique focal point to nearly any room, and they can help you grow a wide variety of plants indoors by providing you with a light-filled, well-ventilated space. Like all of our Roswell home windows, you can customize your garden window to suit your taste, and we offer a number of stylish options to meet your needs. You have many choices when it comes to the style of the windows you want in your home, including the materials used in the construction of your new window. If you’re looking for a modern, seamless look, choose vinyl windows from Tight Line Exteriors. Our vinyl windows will complement the look of any home, but they are also extremely energy-efficient. When installed by one of our experienced technicians, you can greatly increase the thermal efficiency of your home and save money on monthly heating and cooling bills. 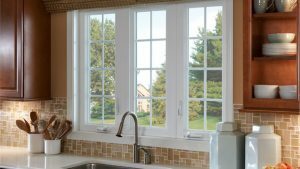 Choosing highly efficient replacement windows is an ideal way to increase the overall value, comfort, and appeal of your property, and Tight Line Exteriors is the first choice in the region for professional and affordable service! If you’d like to learn more about the selection of windows and other remodeling products we offer, we invite you to contact us today. Give us a call or fill out our online form, and we’ll get you set up with a free, no-obligation estimate.